Japan is faced with an unprecedented population challenge that will have social, economic, and political consequences for years to come. Last August, I wrote an article for The Diplomat that discussed some of the issues Japan is facing in relation to population decline. As I noted, the population has dropped for three years in a row. Recently, the Japanese government announced that the population decrease for 2012 is expected to be 212,000—a new record—while the number of births is expected to have fallen by 18,000 to 1,033,000—also a record low. Projections by the Japanese government indicate that if the current trend continues, the population of Japan will decline from its current 127.5 million to 116.6 million in 2030, and 97 million in 2050. This is truly astonishing and puts Japan at the forefront of uncharted demographic territory; but it is territory that many other industrial countries also are beginning to enter as well. 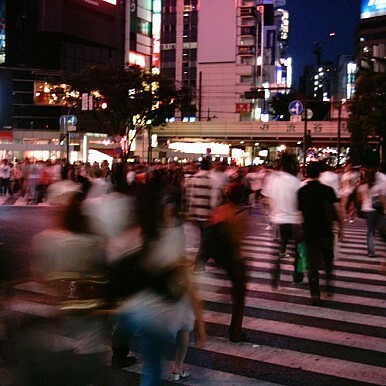 Predicting the consequences of Japan's demographic shift is difficult. And it is important to remember that these are projections; it seems to me unlikely that this trend will continue for the next century without some sort of intervening political, cultural, or economic factors that generate increased immigration or more robust fertility rates. Indeed, there have been modest—very modest—increases in the number of foreign residents in Japan over the past twenty years, with a little over twice the number today (2,134,151) as compared to 1990 (1,075,317). Many towns have developed international centers where opportunities are developed and supported, creating contexts for interactions between local residents and foreigners such as a monthly English dinner hosted in the town where I have done fieldwork for several years. Government officials have often explained to me that one of the goals of these initiatives is to create contexts in which Japanese people can interact, and thus become more comfortable with, foreigners. The widespread presence of foreign English teachers supported through the JET program and other English language programs has also meant that, unlike forty for fifty years ago, most younger Japanese have grown up regularly interacting with individuals from other countries. At the same time, there has been some immigration of women from other Asian countries, such as the Philippines, into rural parts of Japan for the purpose of marrying men who otherwise would have had difficulties finding a wife among the native population. These developments may allow for increased openness to immigration in the future, although for the most part, the Japanese government has remained lukewarm, at best, when it comes to allowing any significant increase in the number of permanent residents or immigrants. Naturalized Japanese citizenship remains difficult to obtain. While predicting the future of these demographic trends is difficult, the causes are at least somewhat decipherable. The proximate cause of population decline in Japan are fairly clear: a low fertility combined with increased life expectancy has led to a population structure that is increasingly weighted towards older members of society. Currently there are significantly fewer people under 30 than there are between the ages of 30 and 60. As the population of middle-aged individuals grows older and dies, there will be far fewer people remaining behind. In other words, the current middle-aged generation of Japanese has failed to replace itself. The question, of course, is why? Donald Trump Won. Prepare For Uncharted Geopolitical Waters in AsiaJapan’s Robot RevolutionThe Pointless Debate Over Japan's DeclineFixing Japan’s Fiscal MessJapan’s Immigration Policy: Turned Corner or Cul-De-Sac?